Uniformity: I’ve run some of these campaigns with multiple systems. That gives you flexibility, systems tuned to a specific genre, and a chance to use up all your rpgs. But you pay a high, high price in teaching time. Players can’t get comfortable with a system before they’re whisked off. You’ll quickly discover which players don’t dig mechanics. Carry Over: Even if you use a Universal system you need continuity between the worlds and the characters. A simple linking story or parallel elements for the worlds is enough. For characters something about them should carry over between travels. It could be a key stat, advantage, flaw, aspect, appearance, name or even character class. That fights against the discontinuity of the campaign’s premise. In my card-based game, players’ decks change between worlds, but key cards remain across all of them. Stakes: Establish stakes. Players need to have a reason to act in these worlds. Perhaps they’re fighting a larger evil, perhaps they need to solve problems to get home, perhaps what happens echoes in their homeworld. These don’t have to be heavy, but they should make the world feel like more than a passing adventure. Episodic: Frame sessions as episodes. Aim for a complete beginning, middle, end for that session’s story. You can have some overhanging business, but generally you want the players to a) feel satisfied and b) not worry about hanging threads from every place they’ve been. If you’re aiming for a longer campaign, consider returning to worlds. That heightens the stakes. Provide downtime sessions- a return to a hub or real world. That can set up the larger meta-story. This shouldn’t be too heavy or it will overwhelm the portals. Collaboration: Find out what worlds the players want. Let them suggest genres or pick from a list. Focus on those and give each player a world they’re kind of the “leader” of. When the group goes there, that players gets to fill in the gaps. It encourages buy in. Go for a reasonable number of worlds: one per player plus a hub or meta world. Then you can cycle through and get to everyone’s favorite. HEY! I have a Patreon for these lists. If you like them,consider contributing or resharing to spread the word. I only include core books here. I’m also only listing books with a physical edition. I might include an electronic release if they’re notable and of significant size. At the end you’ll see some miscellaneous entries, covering borderline or similar cases. Some selections came down to a judgement call. I’m sure I missed some releases. If you spot something Universal I missed from 2012-2013, leave a note in the comments. Sometimes I hit a game that boggles my mind. 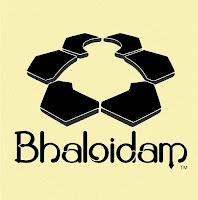 Bhaloidam's one of those. 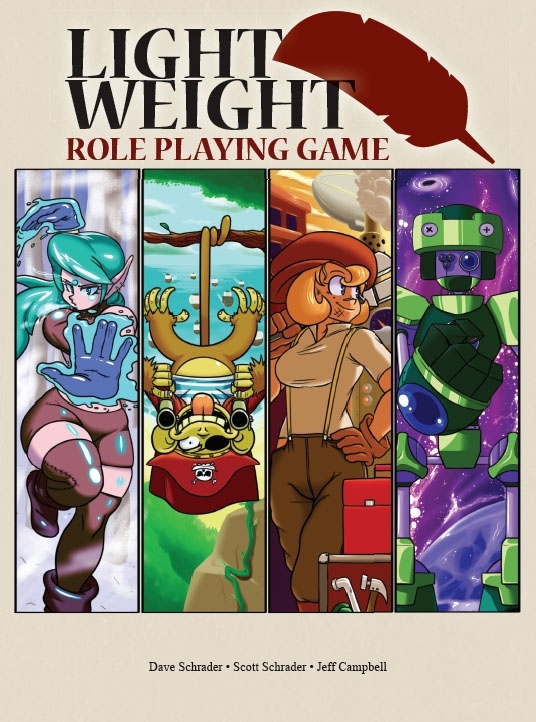 It's an rpg with a strong board game element. Each player has an individual gameboard. You place and move tokens on that board representing ego and will. You have “sources” which determine limits on the six character-defining elements. These then determine the six "influences" for your character. In the Kickstarter video they show how Fire (Wit) and Wind (Agility) includes the influence "Sleight." So Sleight is both the "Agility of your Wit or Wit of your Agility." I’m sure that’s clear, right? To take an action you move Will to an influence and then roll three different custom dice. The results determine cost, maximum exertion, and timing. Then you narrate what you're doing based on those results. Bhaloidam's odd, and falls into the category of fiddly table tricks (along with Fireborn and Weapons of the Gods). It funded on Kickstarter. The last post on the KS site mentions a version 2.0 in progress. There's also apparently a free CC version with print and play components. But the actual site for the company has vanished, replaced by someone's blog. So actually finding real info’s tough. Before Fate Core came out, we'd seen several companies rework the Fate 3.0 SRD. Versions ranged from super-elaborate (Strands of Fate) to super simple (Awesome Adventures). FateToGo leans towards the latter, a version developed for one-shots. It's a German boxed set called the "Steel Case edition." It includes the books, dice, fate tokens, and cards. The actual character sheets look close to Fate Core. I like the pick up and play idea here. It would be interesting to see a small-form starter box for modern Fate. There's a promotional video and site (In German) you can see here. A generic repurposing of the "Inverted 20" system which powered the most recent edition of... Hot Chicks, the Roleplaying Game. Apparently it is backwards compatible. 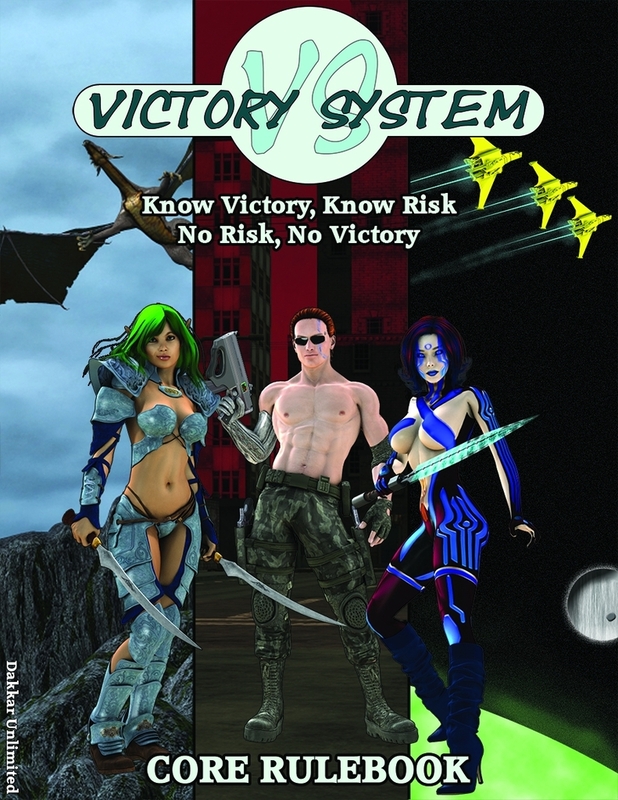 Victory System looks to be a classic stat plus skill with point-buy character generation. The few reviews don't do much to show how it stands out from other universal rpgs. As of this writing the three on DTRPG include one longer description and two short vague statements. 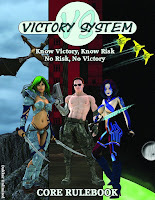 "I enjoy the victory system it is a very well designed system. 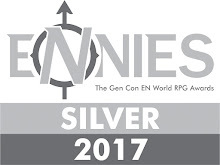 Though it may be different than what people are used to it is more than worth trying and i highly recommend it to any DnD fan looking for something new." I include it since there's a PoD version. 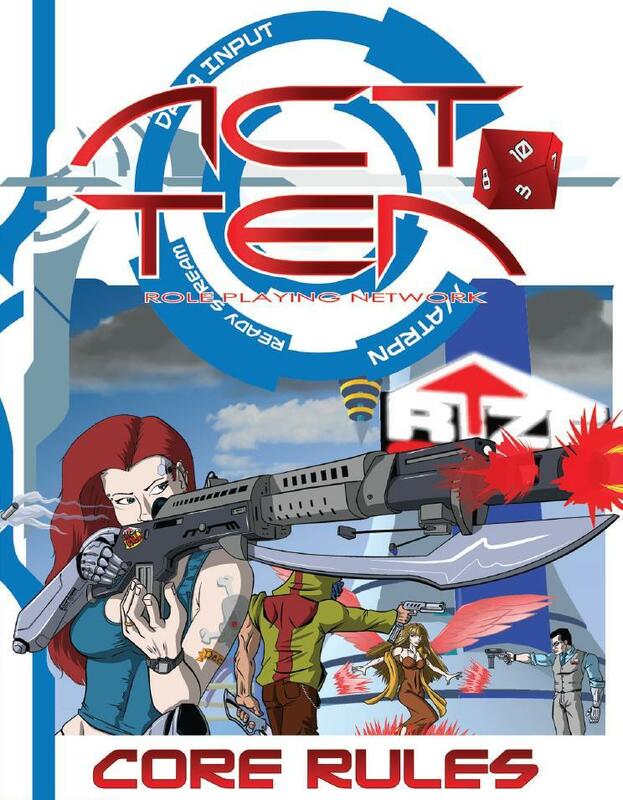 Kickstarted in 2013, Act Ten has an anime vibe. It reminds me of OVA or BESM. The art's by the designer and it has a cartoony look. The inconsistency of that, combined with odd layout elements makes it harder to read than it has to be. YRMV. Characters have ten stats plus eight sub-stats. You combine one of those values with a skill value, then roll a d10. That's compared to a set or rolled opposition value. While the core resolution's easy to get (Unisystem without an exploding die), the rules add a lot of fiddly chrome to that. Like the anime systems mentioned above, players can do point build adjustments and ability construction. That falls into three types. “Special FX” represents powers. “Tunings” represent skill specializations and feat-like effects. 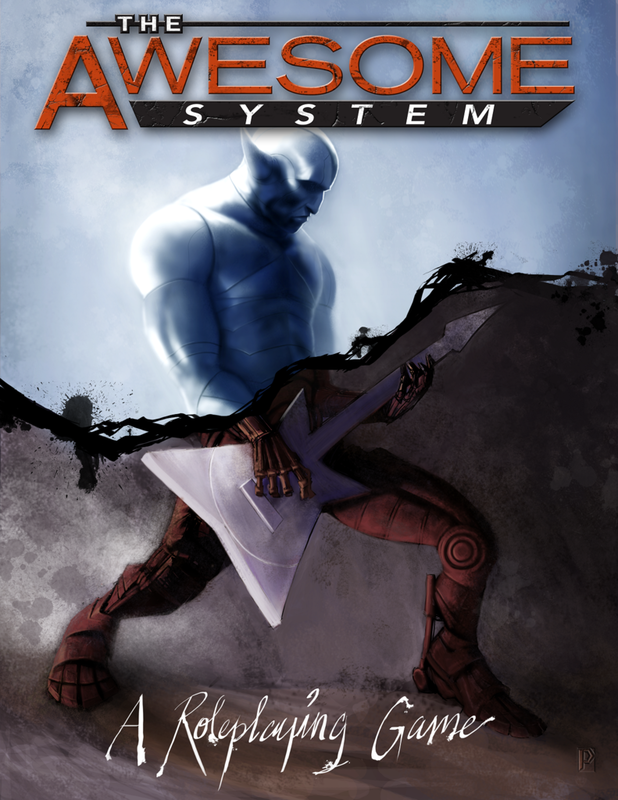 “Traits” cover advantages and disadvantages, with mechanical effects. 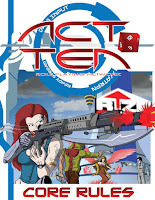 Act Ten has mid-range crunch for gamers who want to play with the nuts and bolts. That's great for players who like that. But it doesn't make a compelling case for using it over other mid-crunch systems. There's a QS available online, worth checking out if you're interested. You're setting the bar high when you call your game "The Awesome System." The name suggests a game that isn't going to take itself too seriously. That’s reinforced by the cover images of a transforming android wailing on a stringless electric guitar. I had a hard time finding info on TAS. The publisher's website has expired and one online review link led to a suspended account. I'd been hoping to find a copy of the quickstart for it, but its not on DTRPG, only their defunct website. You can see their funding pitch here. Awesome System has five stats and 32 skills. It's a mid-range point buy games, with 100 points as the default. There's a short list of advantages, but they aren't generic. In fact they seem oddly specific for a Universal game (Ancient Chinese Proverb, Rock Star). As with most point-buy games, weaknesses add to your points. Characters are rounded out with powers, after which you calculate the half dozen derived stats. To resolve an action, you roll d6 equal to stat. Any sixes "explode". You add your skill to the highest die rolled and compare that to a difficulty or opposition. Characters can "stunt," based on situation and talents, allowing them to add all the dice together. Awesome does have an interesting piece of tech. For initiative you roll Speed Dice. The GM counts from 6 down and you can take an action any tick shown on your Speed Dice. If two of you Speed Dice come up the same number, that action becomes a Stunt. It sounds neat, but I'm not a fan of games with different # of actions for characters. That's potentially a huge imbalance. Speed Kills. Awesome's decent. The artwork's a mixed bag but the layout's clean. It has some crunchy bits and bolt ons (Movie Magic, Rock Battles, Tempest Powers). It also includes some adventures. It reminds me the most of Screenplay and Action Movie World. It wants to simulate those high octane tropes. "A Note About Gender Pronouns. Our company is not sexist. As a matter of fact, play-testing of the Awesome System has contained 500% more lesbian kissing while both girls were ﬁring Uzis than any of its current competitors. However, throughout this book characters and players may more often than not be referred to as “he” While this may at ﬁrst appear to be pushing our female audience away, it is due entirely to our “S” keys breaking while we were writing the Sassy Sultan of Sirius Seven’s Sly Snake Soldiers Sourcebook. We’ll be getting the keys replaced as soon as possible and we hope you ladies won’t be put off until then." EABA's appeared on these lists before. As I described it earlier, "In EABA attributes generate a die value (so Strength of 7 gives you 2d6+1). Die values shift at +3, so the steps are xd6+0, xd6+1, xd6+2. Skills give additional dice. PCs roll that pool and take the best three die results, plus any modifiers. That's compared to a difficulty. While EABA steps back in granularity and difficulty from CORPS, it still has a simulationist approach to things like combat. The game has a lot of numbers. As a result the hex-based character sheet looks intimidating." savable changes so you can have your own library of custom characters, NPC's, vehicles, maps and so on." Storium's the closest to being a fully electronic rpg product, though that hasn't caught on as much as they hoped. Fate's impacted my gaming more than any other rpg in the last ten years. I can still bring the crunch (Rolemaster, 13th Age, Mutants & Masterminds), but I've lean toward lighter systems. Fate Core has rules and sub-systems, but you can grok those easily. Armed with Fate dice, paper, and pen, I can easily run a campaign, no rulebook needed at this point. Fate came out of Fudge, first with Spirit of the Century. That version saw other developments including the popular Fate 3.0 SRD. Fate Core smartly evolves that system. I've described Fate generally before, "It offers a more abstract approach to than those systems. Fate builds on the earlier Fudge System and has had several editions/ evolutions. It uses a set of unique dice- six siders with 0, +, and – sides (2 each). Rolling a set of four yields a value from +4 to -4, with most results in the middle. A 2d6 variant is possible, subtracting one die from the other, but it offers more swingy results. Players generally roll dice for actions, add a value (skill or approach), and compare it to the opposition’s value. Fate gives players several ways to affect and modify dice results after rolling." The Fate Core kickstarter did incredibly well, generating $430K+. 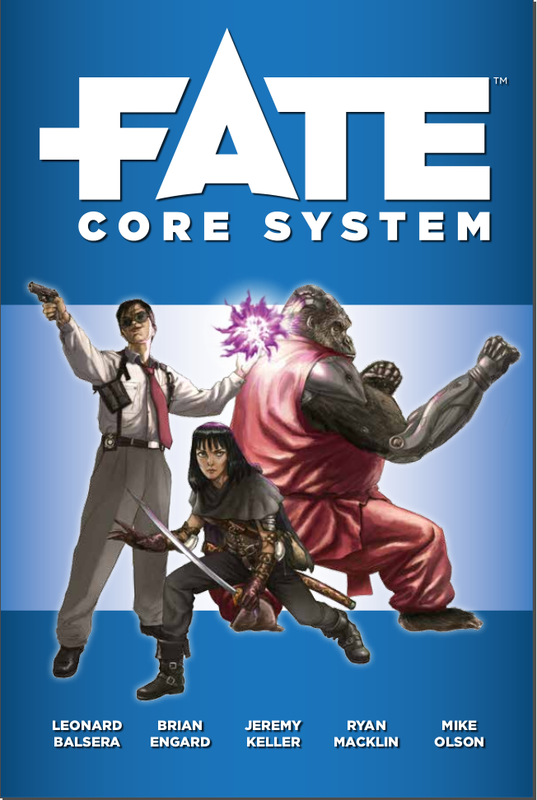 That gave us an additional Fate System Toolkit, Fate Accelerated, Fate Worlds, and eventually Fate Core as PWTW pdf. The new edition cleans up across the board. It standardizes some things like Stunts and Action Types. It clarifies Aspects and trims their number to make them more manageable and focused. Fate Core adds a host of new options and approaches. I'd argue, and I may be terribly wrong about this, that Fate combines flexibility and structure better than any other Universal rpg on the market. If you're interested in Fate as a whole, check out my Fate System Guide for Gamers. That's from 12/14. I need to update that in light of some of the amazing releases since then. Yeah, marketing copy is more about driving excitement-- I get that. But somewhere on your website you should also talk about the "game" itself. A smaller rpg, with a stated goal of collaborative play. It uses attribute + skill + d10 versus a difficulty or opposed roll. Light Weight looks simple but it has some figured stats, grid-based conflict, and combat maneuvers. That combat system has an interesting mechanic. You compare your attack roll to the defender's resolve roll. If you roll 6+, but less than the resolve roll, you reduce their resolve and continue on. If you beat the defender's resolve roll with a 6+, then they’re taken down removing them from the fight. I'm curious how that plays at the table. It seems fast andreminds me of Mutants & Masterminds, where a character's saves against damage decay from hits. Combat's where most of Light Weight’s crunch happens. When you buy new attacks you have to divide points between precision, damage, and features. You can add your skill to your roll or an allies on a turn. Characters can burn out those skills for double effect. On the other hand, the rest of the system's simple, if not absent. There's an assumption you'll be able to handle those parts of an rpg on your own. Overall it's not a bad little game and it has with nice art. However the price-point's a little steep for some. The 48 page core pdf runs $10 on DTRPG at this time. When I was a wee gamer, I didn't know what “polymorph” meant. Based on context clues from an older gamers’ Villains & Vigilantes session I thought meant “turn to clay.” It wasn't until the mid-80's that a flip through of the AD&D Players Handbook revealed the actual definition. That discovery explained the the etymology and why Rob angry that one session. Anyway, Polymorph’s a good name for universal rpg, one wrapped in rpg history. Here's a synopsis of the short version of Polymorph’s rules: Characters have four attributes (1-4 rating). They can have 'flair' which adds to that if appropriate (Creative, Truthworthy, Manipulative). You also have skills rated 0 to 3. When you make a check you roll d8's equal to your attribute, plus 2d8 if you have the right flair. Then you check the target number on the dice, which is 6 minus your skill. If you hit that or better of a die you get a success. Two successes means the action is complete. If you split you attention for multiple actions you'll want different colored d8s. Easy, right? Throughout Polymorph a weird swing throughout between light mechanics and specific detailed sub-systems. Flairs aren't like aspects, flexible and tailored to your character. Instead each attribute has three specific ones you either have or don't. There's a simple skills list, as well as some choices for troubles, principles, and other small bits. Combat wants to be light, but has hit locations. When you take damage, you place tokens on those locations on your character sheet. Polymorph’s based material is stripped down generic. The main book includes several campaign frames: horror, fantasy, and enhanced characters (i.e. supers). These add new mechanics, general advice, and adversaries. The fantasy section's the longest, with a magic system included. The art varies from terrible to decent, but the text has lots of typos. 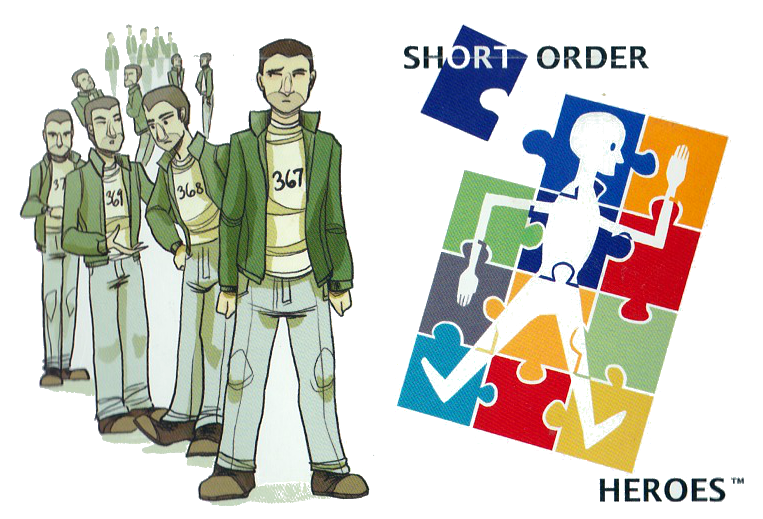 An rpg in the loosest sense, Short Order Heroes consists of a deck of 108 cards. Each has a number value, trait, and illustration. If you want to use this as an rpg with resolution, you draw a card and see if its value beats the default difficulty of 4. You then can shape the action description using the card’s trait. Traits and situational modifiers can also affect the difficulty. It’s bare bones out of the box, but the website includes optional rules to deepen these mechanics. Short Order Heroes serves mostly as a character generation tool for any game. By drawing three cards, you can assemble a mix of traits for anyone. This makes them an ideal aspect generator for Fate. It's a nice product and worthwhile for inspiration and pick up gaming. A good buy if you’re not expecting a fully-fleshed universal rpg. Currently they have several sets available. A substantial rpg from Ben Rogers, designer on the slightly obscure Promised Sands rpg. That used the "Trinary System" of 3d10. ; Sixcess returns to d6’s. The generic cover gave me few expectations. So I wasn’t expecting the opening designers’ statement. I hadn’t see reviews citing religion in Promised Sands, but Sixcess comes out of the gate with it. "The writers of this game system are Christians who believe in Biblical truth. We are presenting a worldview based upon these beliefs. We are not intending to convince you that we are right (though we would like it if you come to that conclusion). We are not trying to make you change your ways. We are not aspiring to “convert”...We are followers of the teachings of Christ. We are believers that the Bible is the word of God...Again, let’s reiterate: This is not the Christianity your momma warned you about." 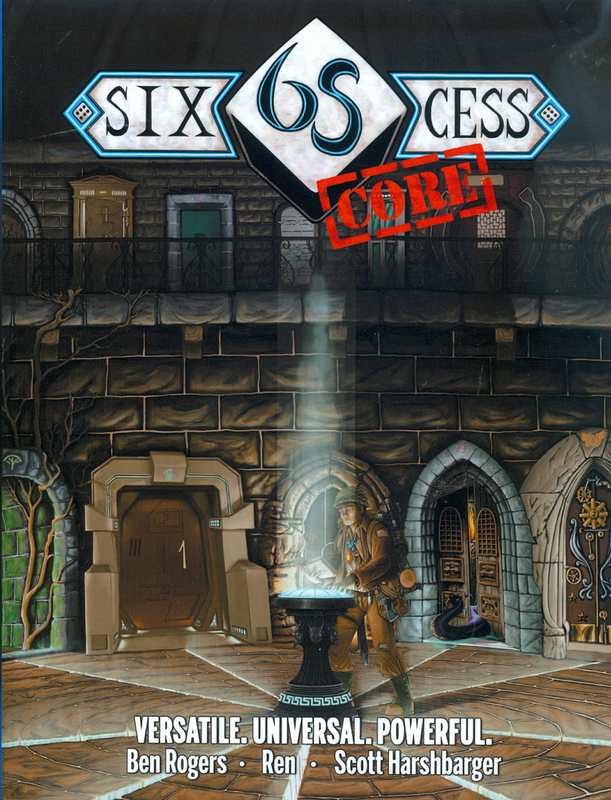 Sixcess has you rolling a dice pool of d6's based on stat + skill. The GM sets a target number (TN). Each die that meets or beats that counts as a success or a "Tick." But each success which meets "The Mark" (always 6) counts as 5 Ticks. Any die explodes into a reroll if it rolls a Mark. Super high difficulties require players roll multiple Marks. While it's not too crazy and there are some other twisty add-ons like modifiers and cross-reference tables. Character creation's pretty involved. You have 24 sample races, most looking like they fell out of someone's house campaign. Advantages, disadvantages, magic, powers, and gear take up about a third of the book. There's a bestiary and GM advice, but no examples of worlds built using the mechanics. 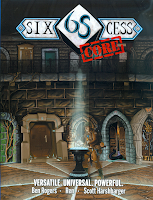 Sixcess is overall OK, leaning towards mixed crunch: simple elements with tons of additional mechanics, powers, and details. 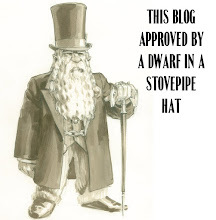 Imagine overelaborate Savage Worlds. The religious aspect doesn't intrude, with a few exceptions. ("Regardless of the gameworld, there is only one God– YHVH.") A Kickstarter for a Sixcess version of Promised Sands successfully funded in late 2013. That has not delivered as of this writing. “A Storytelling Game about building worlds & challenging your beliefs within them.” Spark’s written by Jason Pitre. I’m biased because I’ve briefly spoken to him and he was tremendously nice. Spark puts an emphasis on world-building, something I dearly love. Players can do this from the ground up or published settings (the book includes four). You begin by picking three Beliefs for the world (ex: “everyone has a price,” “those who bend do not break”). You’ll be challenging those key ideas in play. The GM assigns dice to the world’s attributes (Body, Heart, Mind, and Spark). This sets default opposition and colors the setting. You then select Factions for the world. Finally you create Faces, inter-faction ties, and agendas. I’m truncating a lot. It’s a solid process and well worth looking at for any GM. Pitre’s also written a version of this world building system for Fate, A Spark in Fate Core. Characters have beliefs chosen after the initial concept’s decided. Spark uses a simple set of details for your character: attributes with die types, talents covering skills and experience, and a set of personal history questions. Play is interesting in that in order to gain the currency of play- Influence- you have to challenge your character’s Beliefs. There’s a lot more. It’s actually amazing how much game Spark has in this small package. (SIG). Pitre has also released a striking, Planescape-flavored supplement for Spark, Sig: Manual of the Primes. I recommend Spark for anyone looking for a structured, collaborative narrative rpg. Awesomesauce The Roleplaying Game Trollhammer Edition: A free small rpg, with a great name. Cheat Your Own Adventure: A lightweight, GMless, love-letter to Choose Your Own Adventure books. You collaboratively play through, flipping back to previous pages as necessary. Gateway (F/X): Has an odd publisher blurb, suggesting that while the base game has some mechanics, GMs as a rule have to sit down to create "portals" with specific bolt-ons. Saga: A game that specifically calls out problematic tropes. "There are no racist stereotypes, restrictions, or penalties! Races and their individuals are diverse and multifaceted as in reality." TNT (The Narrative Toolbox): From the designer of Prowlers & Paragons. Die rolls determine who has narrative control over a moment. Games with highly open play, but limitations on the framework, theme, or subject matter. 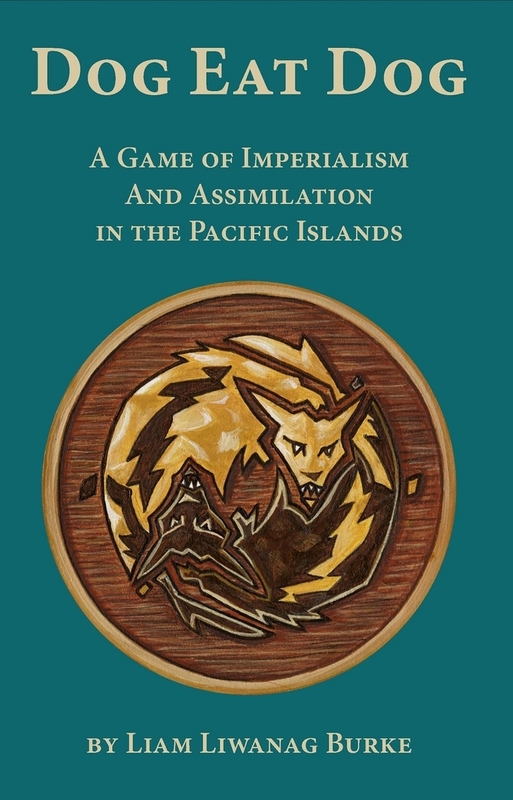 Dog Eat Dog: A game about colonialism and oppression. While it focuses on a Pacific island, I've seen it repurposed to cover a variety of colonial-like interactions. It's a bit of a cheat to put it here, but it gives me the chance to link to the SUSD review of it. Kingdom: One of my favorite games. You play members of a community which is trying to survive in the face of challenges. While you share that aim, you may have different visions of the kingdom's evolution. You can see my write-up here. Non-Essential Personnel: A small game about playing the henchmen to powerful protagonists and antagonists. Can be used in multiple genres. I'll also point you to the not-entirely-terrible Witless Minion. The Play's The Thing: A game about actors trying to rewrite their roles within a Shakespearean play. I like the way this allows the players to take old material and repurpose it. A Tragedy in Five Acts: A Game and Play of Roles: The other Shakespearean game to arrive this year. Both came out of the 2011 Game Chef. 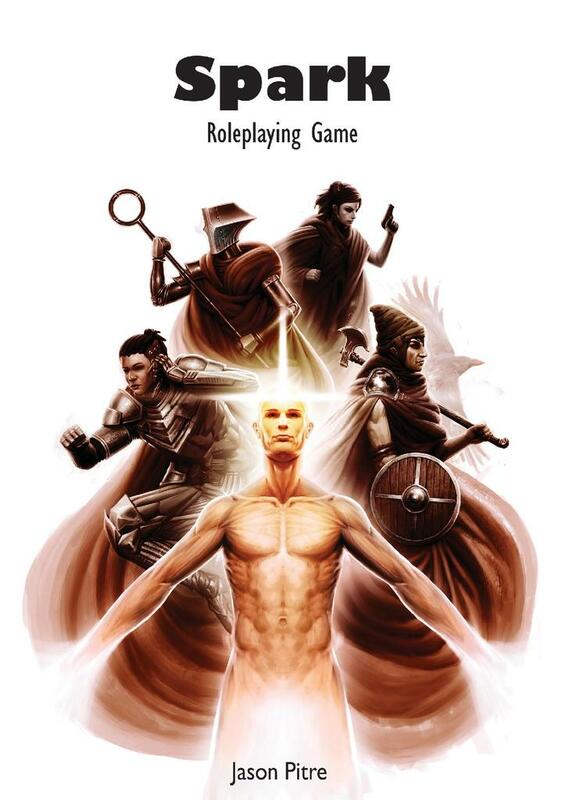 This is "competitive roleplaying game in which players plot, bargain, and bid against one another to make their characters the central figure in an impromptu five-act tragedy created by the group as a whole. Everyone comes to a bad end, but that's the fun - and the winner gets to name the play!"